October 27, 2016 – When Kirk Hille took a photo of his fiancé struggling to cope with surging waves in the water, he knew he had an incredible photo with the perfect composition of half white wash and half crystal-clear blue water. But framing the image required an aerial perspective, something made far easier with his DJI drone. "I really love how aerial photography complete changes your perspective on the world around us and gives us a total different view on the world," Hille wrote in his submission to SkyPixel's 2015 Photo Contest. The Australian's photo went on to win last year's grand prize, chosen from more than 11,000 photos submitted from 140 countries worldwide. The contest, which runs from Oct. 26 to Dec. 30, is open to all entrants and features both "enthusiast" and "professional" groups to which users can submit their photos. Entrants will choose between the categories of "beauty", encompassing natural landscape and urban architecture and "360-degree aerial panorama," which showcases immersive 360-degree views from above, aided by Virtual Reality (VR). Photos can be taken with any aerial equipment. A final category, "Drones In Use," features photos taken from any device of drones in flight. This year's Grand Prize will be a DJI Mystery Box, a DJI Mavic Pro, Epson Moverio BT-300 smart glasses and Epson SureColor P400 Wide Format Photo Printer and an Adobe Creative Cloud Photography membership (1-year). Other prizes include the DJI Osmo+ and DJI Osmo Mobile. 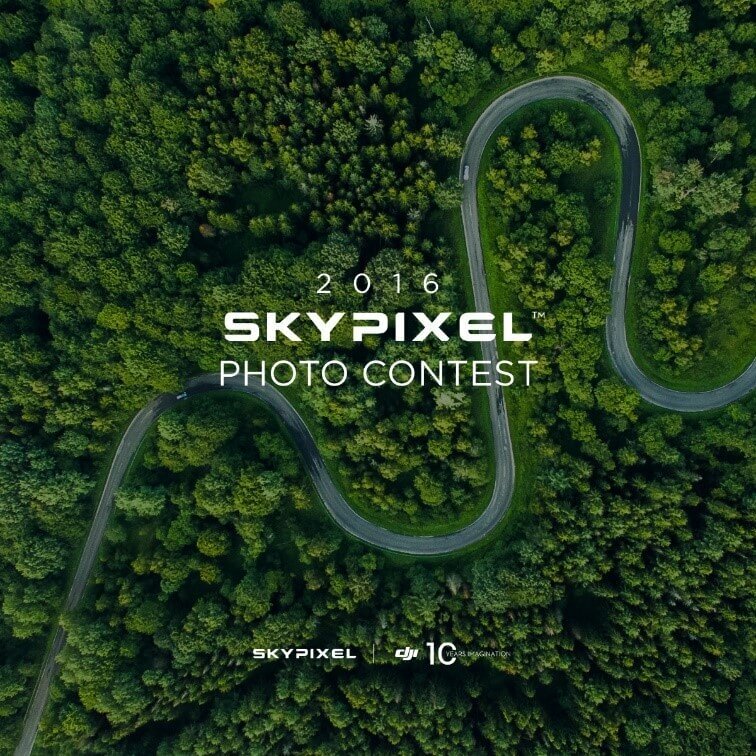 SkyPixel will also award a so-called Popular Prize to the top-10 most-popular photographs at the end of the submission period. Winners will receive a copy of “Above the World: Earth Through a Drone’s Eye,” a book from DJI celebrating its 10th year anniversary and drawing from photos submitted to SkyPixel, an Insta360 Nano and a Ctrip coupon worth USD 290. This year's contest is sponsored by DJI, Epson, Adobe and Insta360 and is in partnership with Fstoppers.